This is a single user license, allowing one specific user access to the product. The electronic report will be emailed to you. The file formats are PDF and Excel. VoLTE (Voice over LTE) technology allows a voice call to be placed over an LTE network, enabling mobile operators to reduce reliance on legacy circuit-switched networks. Powered by IMS (IP Multimedia Subsystem) architecture, VoLTE brings a host of benefits to operators ranging from the ability to reform legacy 2G and 3G spectrum to offering their subscribers a differentiated service experience through capabilities such as HD voice and video telephony. First deployed by South Korean operators in 2012, VoLTE is continuing to gain momentum globally. As of Q2’2018, more than 140 mobile operators have commercially launched VoLTE services, and several roaming and interoperability agreements are already in place. The research estimates that VoLTE service revenue will grow at a CAGR of approximately 30% between 2018 and 2021. By the end of 2021, VoLTE subscriptions will account for more than $280 Billion in annual service revenue. Although traditional voice services will constitute a major proportion of this figure, more than 16% of the revenue will be driven by voice based IoT applications, video calling, and supplementary services. 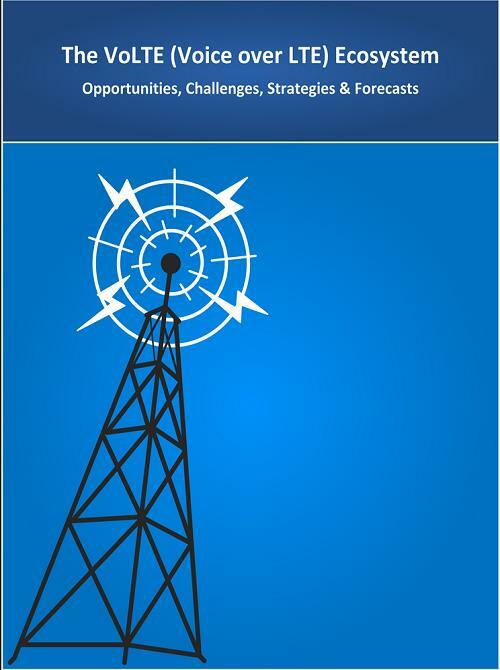 The “VoLTE (Voice over LTE) Ecosystem: 2018 - 2030 - Opportunities, Challenges, Strategies & Forecasts” report presents an in-depth assessment of the VoLTE ecosystem including market drivers, challenges, enabling technologies, applications, key trends, standardization, regulatory landscape, mobile operator case studies, opportunities, future roadmap, value chain, ecosystem player profiles and strategies. The report also presents forecasts for VoLTE-capable device shipments, subscriptions, service revenue and infrastructure investments from 2018 till 2030. The forecasts cover 14 submarkets and 6 regions. How can VoLTE help operators in refarming their 2G and 3G spectrum assets? By 2021, the research estimates that VoLTE subscriptions will account for over $280 Billion in annual service revenue, as mobile operators remain committed to VoLTE as the long term solution to secure a fully native IP-based telephony experience. Besides smartphones, VoLTE technology is increasingly being integrated into other devices including feature phones, IoT modules and wearables such as smart watches. In certain technically advanced markets, mobile operators have already begun the process of switching off their legacy circuit switched 2G and 3G networks, as voice traffic transitions to VoLTE networks. Nearly all VoLTE operators are integrating their VoLTE services with Wi-Fi calling in a bid to offer voice services in areas where their licensed spectrum coverage is limited. The VoLTE infrastructure vendor arena is continuing to consolidate with several prominent M&A deals such as the merger of Sonus Networks and GENBAND to form Ribbon Communications, Cisco's acquisition of BroadSoft, and Metaswitch Networks' acquisition of OpenCloud to offer a pure-play software VoLTE solution. 8.1 Why is the Market Poised to Grow? 8.3 Geographic Outlook: Which Countries Offer the Highest Growth Potential? 8.4 Monetization: Can VoLTE Drive Revenue Growth? 8.11.3 How Big is the VoLTE Service Revenue Opportunity for MVNOs? 8.12 WebRTC: Friend or Foe?